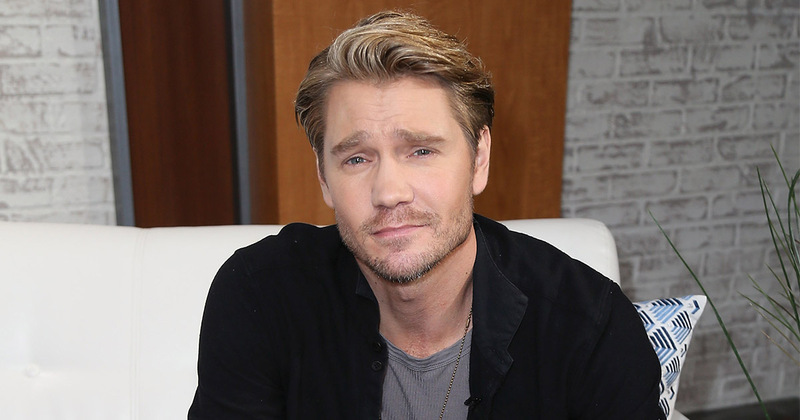 In the most surprising news we’ve heard since, well, Wednesday, it’s been revealed that Chad Michael Murray has written a romance novel. Confirming the news with US Weekly, a representative for the star confirmed that Murray had written the book with Heather Graham. According to Just Jared, however, this Heather Graham isn’t the actress Heather Graham. Could you imagine if that had happened!? The news comes after it was revealed that Murray was expecting his second child with his wife Sarah Roemer. So, what is Chad Michael Murrary’s book actually about? Well, the novel, which is titled American Drifter, is a romance novel about American soldier who is backpacking across Rio de Janeiro. "American Drifter's romance was inspired by a dream I had," Murray told Us Weekly. "The dream had played out so vividly, as if I was a fly on the wall watching this tale go down." "Also, at that time, I had been searching for a story that would resonate with the youth of the world in a way that would make us feel the light and excitement for adventure." Murray had previously teased the novel back in 2014, where he also spoke about his literary inspirations. Speaking to Metro, it seems that the star sure would have one heck of a varied Good Reads account. "I really like poetry – I really like Edgar Allan Poe. Growing up, I loved The Catcher In The Rye, which is a bit of a cliché to say but f*** yeah, that’s a great book," he revealed to Metro. "Brave New World made an impact on me. I wouldn’t consider myself an avid reader – I want to be but I haven’t incorporated it into my lifestyle. "Writing is a beautiful craft and so many people do it so well that I’m just incredibly grateful to get published," he finished. Now, you might remember that Chad Michael Murrary’s character in One Tree Hill, Lucas Scott, was also a novelist. Titled An Unkindness of Ravens the fictional book was also adapted into a TV series in One Tree Hill. Perhaps Murray’s actual novel will get the same treatment? Regardless the next 12 months seem like they’re going to be HUGE for Murrary. Not only is her set to star in CMT’s Million Dollar Quartet this month, but the 35-year-old actor (and now author) will also welcome his second child and his romance novel next year.